We work with for-profit corporations, small businesses, government agencies and nonprofit organizations and churches to handle all roofing needs. 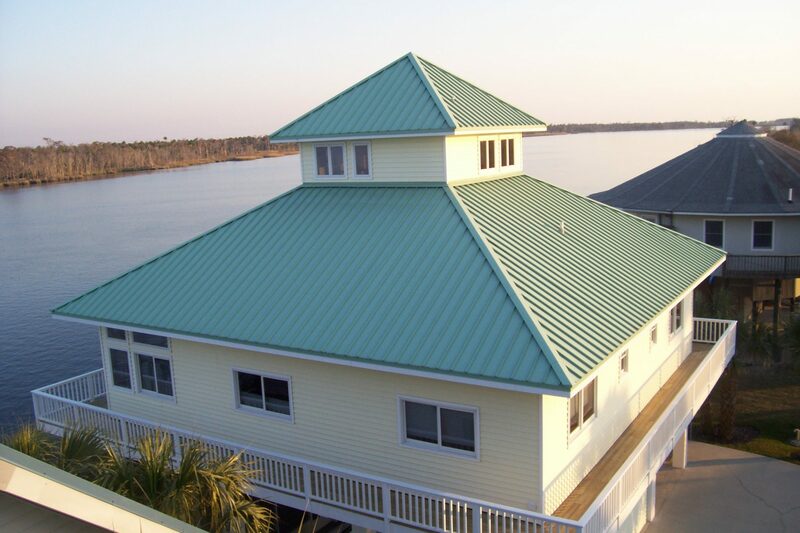 Whether you require a roof assessment, repair, full roof replacement, or new installation, we have commercial roofing contractors in Panama City FL to meet your organization's needs. Asphalt shingles have been used on homes in the United States since the early 1900s. Since that time, leading shingle manufacturers, like CertainTeed (established in 1904), have been continually improving asphalt roofing products through their research and manufacturing efforts. Today, asphalt shingles can be purchased in an array of colors, designer styles and weights. These products have become so attractive and rugged that 80 percent of the homeowners in the United States choose asphalt shingles. ENERGY STAR rated cool roofs, which vastly reduce heat infiltration from the rooftop. Impervious to ponding water – including no ponding water exclusions in their warranties. Able to be installed over an existing roof or directly to the roof deck, depending on the project. Manufacturer inspected and certified on commercial projects and include coverage for consequential damages. Duro-Last white PVC membrane is an ENERGY STAR rated cool roof, which greatly reduces heat infiltration. Duro-Last pre-manufactures large sections of roof membrane, customized for each building. This allows the seam welds and custom components to be made under precise, controlled factory conditions, greatly reducing the margin of error which can occur at the point of field installation. Duro-Last inspects and issues manufacturer-certified warranties for commercial roofing installations. Warranteed against ponding water. Duro-Last will not void the warranty based on ponding water. Consequential damages (no dollar limit) covered under Duro-Last warranty on commercial buildings. Duro-Last can be installed on new building construction, over old low-slope roofing, and over metal roofing. Roof-over installations are typically quiet and can be done without disrupting the business day.